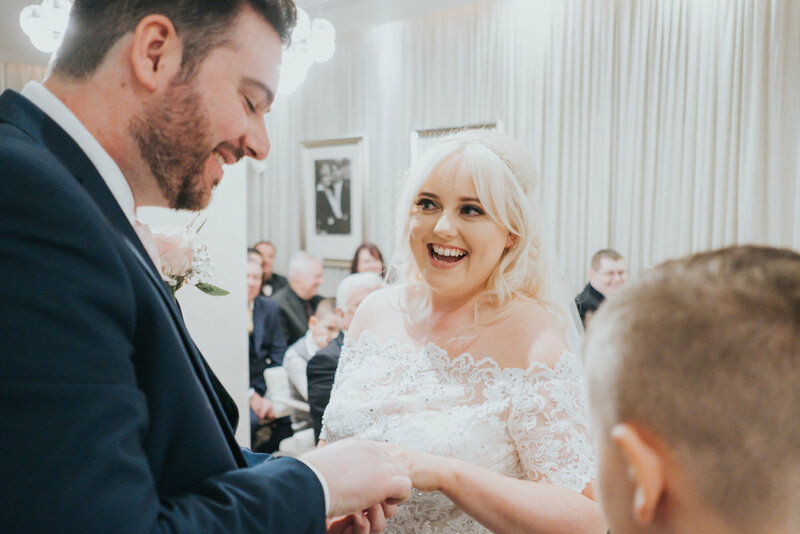 Belinda and Sean chose the Hard Days Night Hotel in Liverpool for their perfect modern city centre wedding. 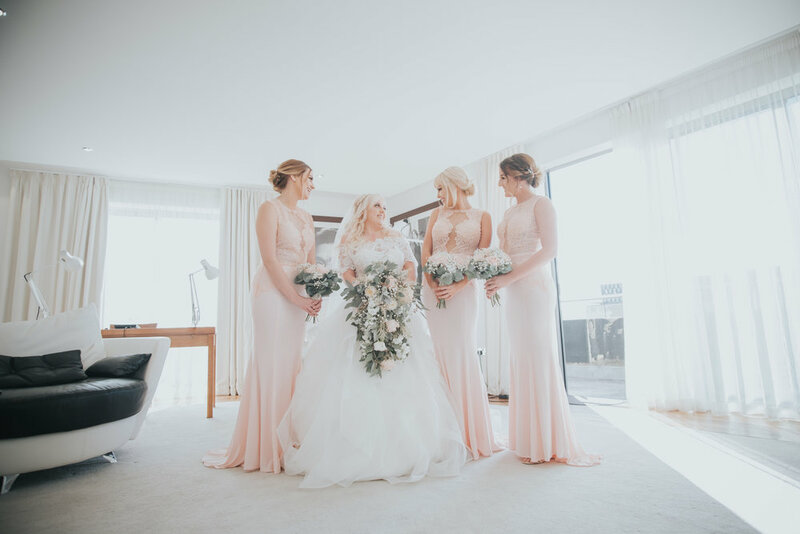 The HDN hotel is modern, upbeat and glamorous, totally perfect for any couple to be wed. With Beatles memorabilia dotted about the hotel from the days that the fab four rocked the world, and band members inspired suites for the bride and her wonderful girls to prepare themselves. I met Belinda and her girls in the Lennon suite of the hotel, a stunning room dedicated to the great man. The room was bright white, one of a kind art work hung on the walls and a beautiful grand piano in the corner of the room. It was a photographers dream. Make up and hair in full swing and the bubbles ready to be opened, everything was nice and relaxed. 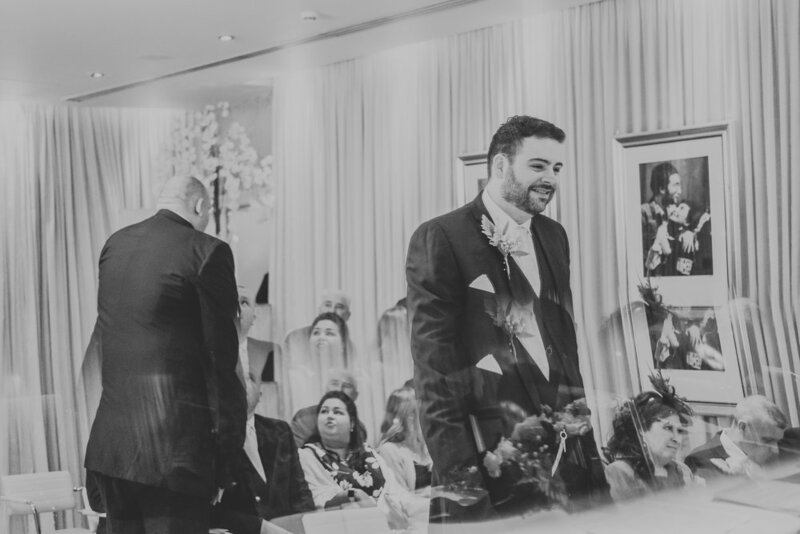 With game faces on and jaw dropping dresses on, it was time for Belinda to meet her man. Sean, the more nervous of the two I'd say, he probably wouldn't! 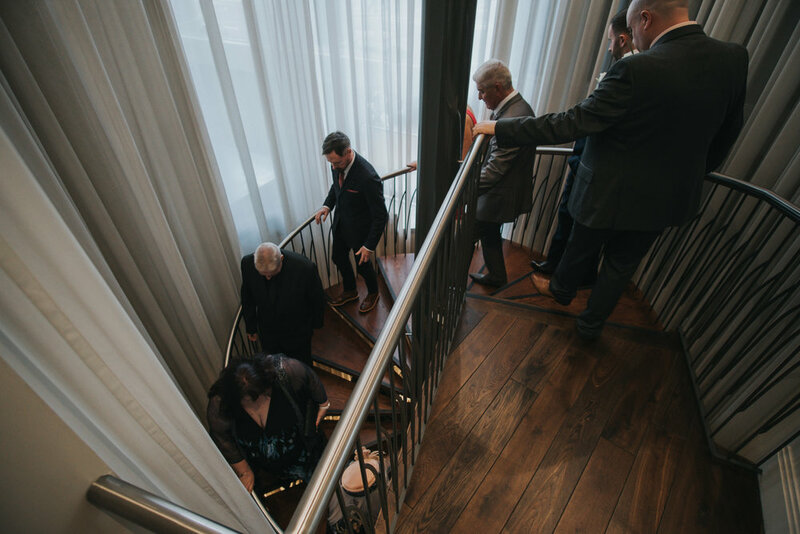 had a few spare moments for a drink in the bar with his boys, and a little stroll onto Matthew Street and the Cavern was in order for a few snaps, before all of their guests arrived and the ceremony started. 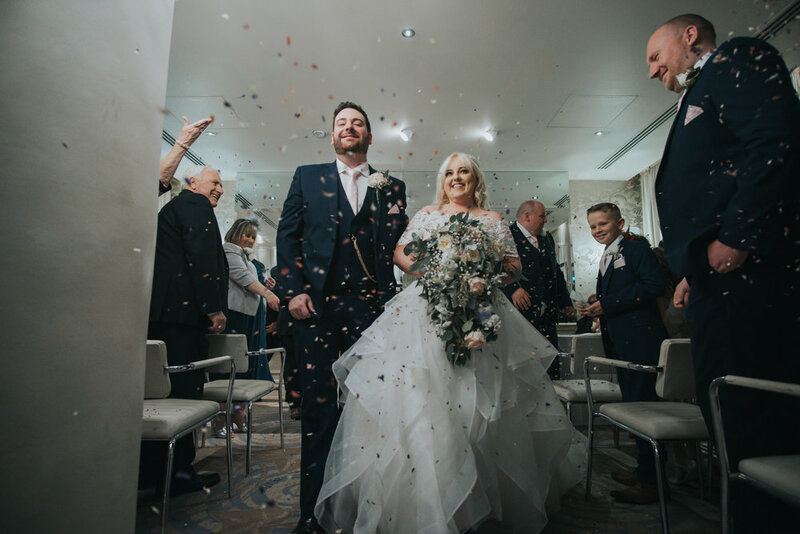 A stunning ceremony on the lower floors of the HDN Hotel was followed by confetti as they left the room, a few group shots on the stairs to the hotel with the happy couple and their closest family and friends. The three of us then took a short taxi ride through the city to have some long awaited quiet time for Belinda and Sean and a couple of snaps from me. I loved the hustle and bustle of the city and tried to capture this in their images. 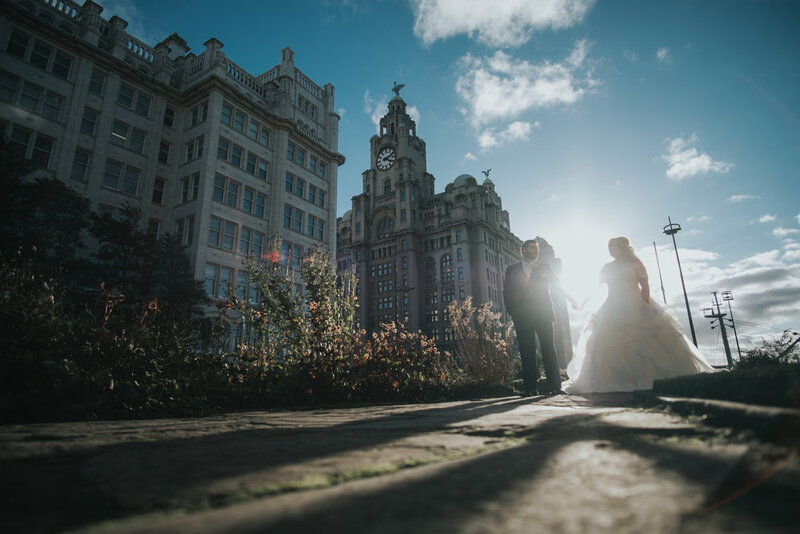 One thing Belinda and Sean wanted in their wedding pictures was The Royal Liver Buildings, so we found a stunning spot near the waterfront and that was our next destination. The grounds of Our Lady and Saint Nicholas Church was perfect! 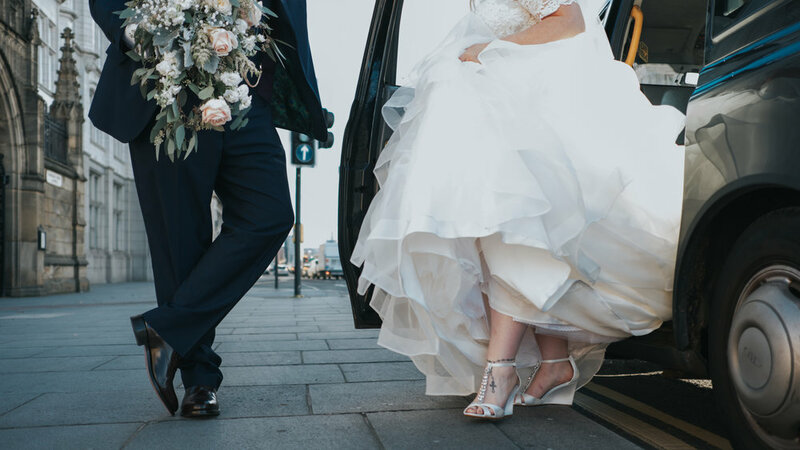 Capture those all important images and back in the taxi to the HDN hotel. Wonderful heart felt speeches were next on the day. The father of the bride, the groom himself Sean and the best man did a wonderful job. Emotion from every angle of the room, well done boys! A lavish evening party followed for the wedding party and evening guests started to arrive just in time for the all important first dance. 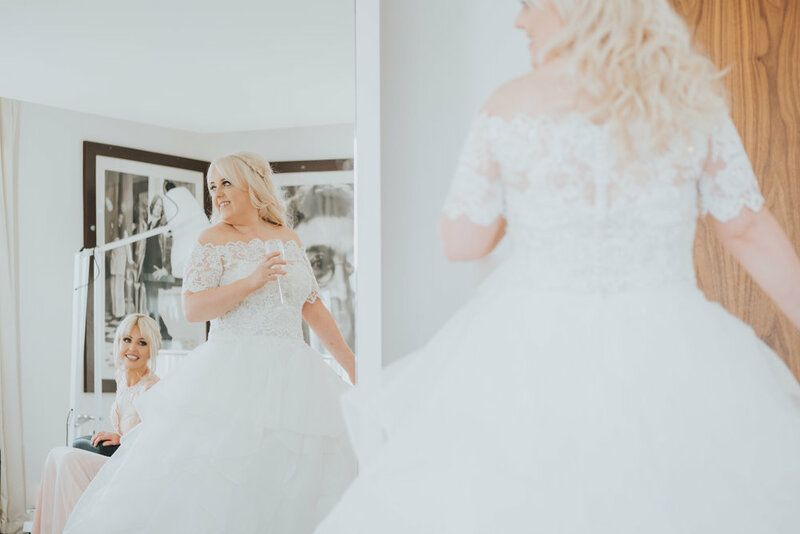 Thank you again to Belinda and Sean for trusting in me on your most important of days. To be as professional as I can be, I had a bloody cracking time with you both, I wish we could do it all over again! 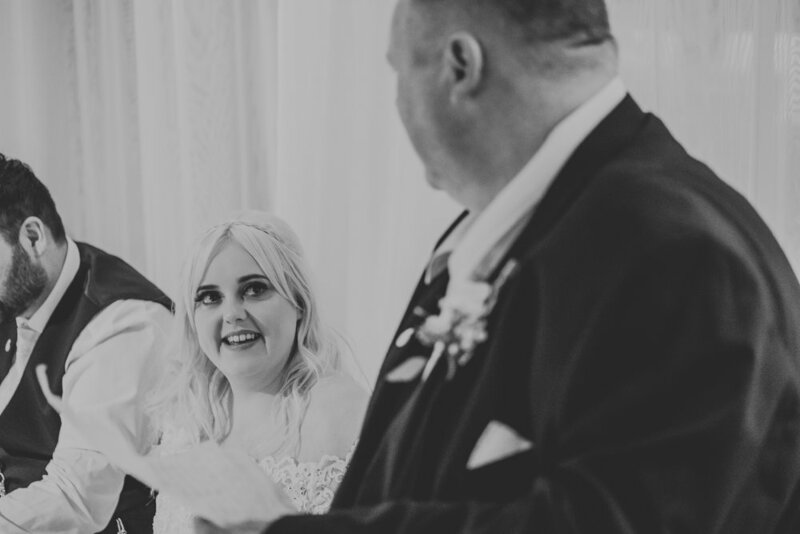 Good luck for the future as and man and wife, I wish you every success and happy to say I have found two new friends for life in Mr and Mrs Saunders. Full vendor list below images. 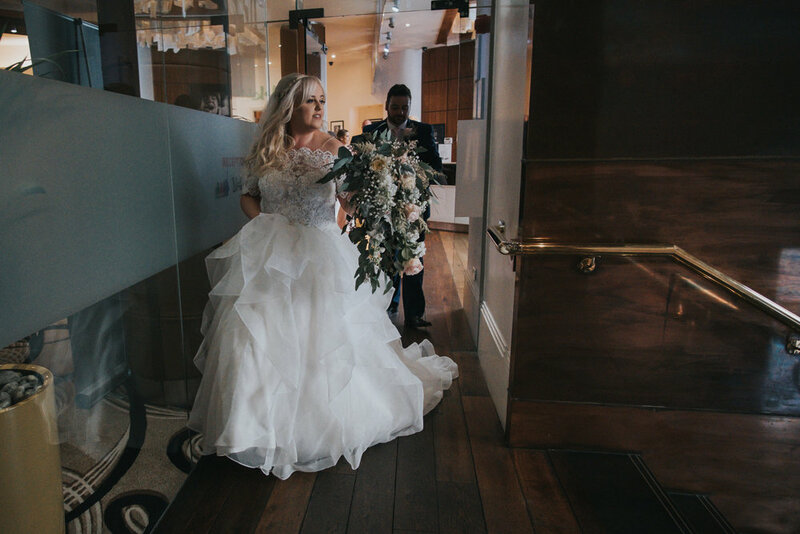 Vendors whom made Belinda and Sean's modern city centre wedding day totally perfect! 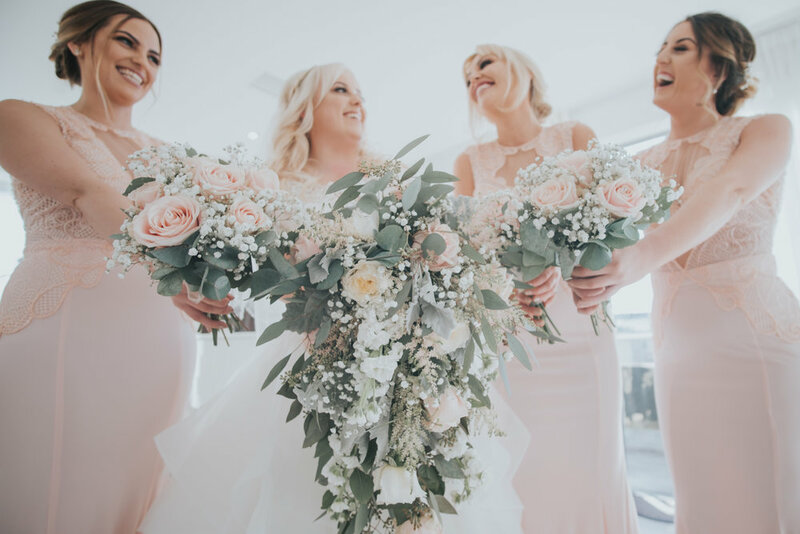 Planning your city centre wedding? I'd love to capture it for you. 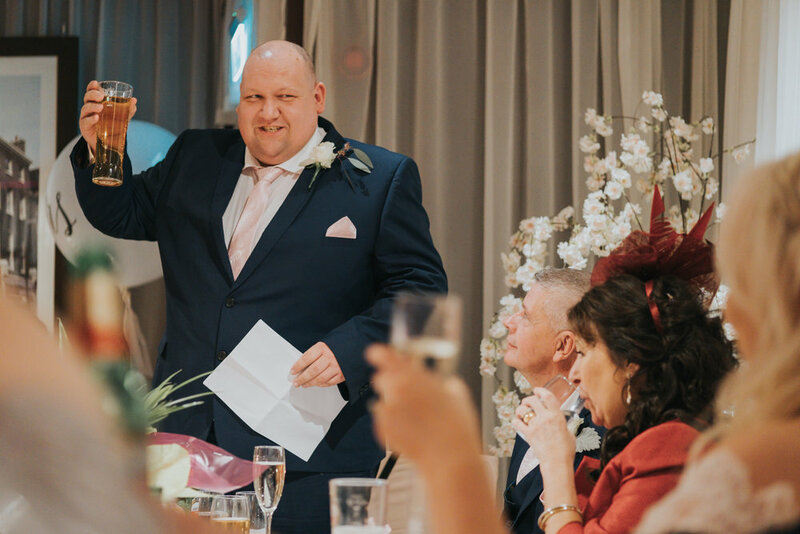 Free free to drop me a message HERE to discuss your perfect wedding day.